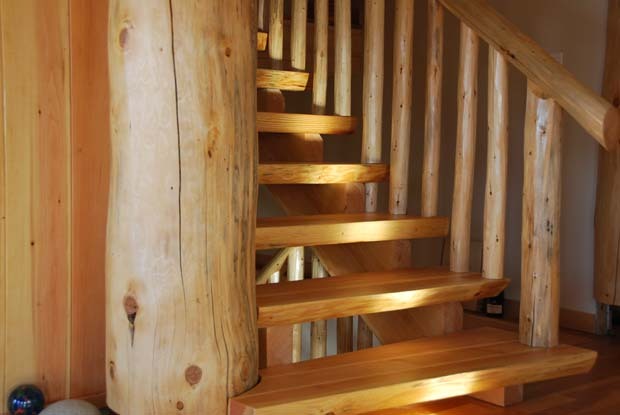 Our stairs are built with hand-planed pine stringers and treads; the stringers are 4" thick and the treads 3". 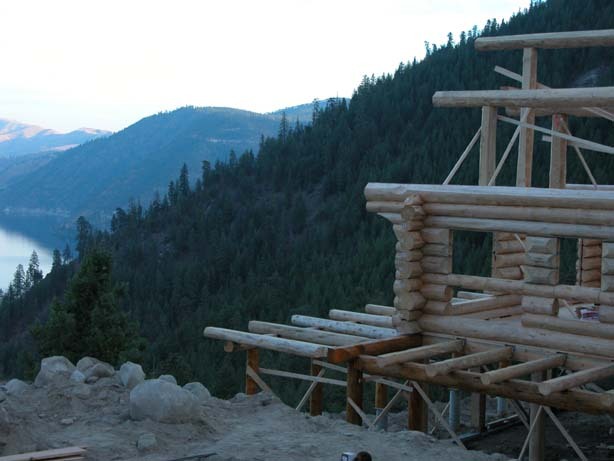 The treads and stringers are joined using mortise-and-tenon joinery. 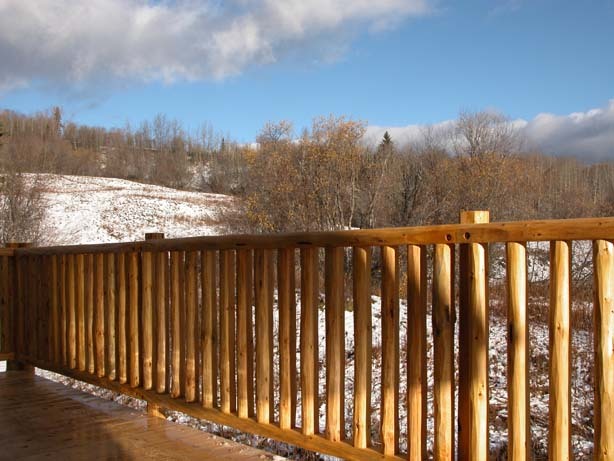 In addition, each tread is custom-fitted to the stringer and recessed into it making a seamless join between the two members. 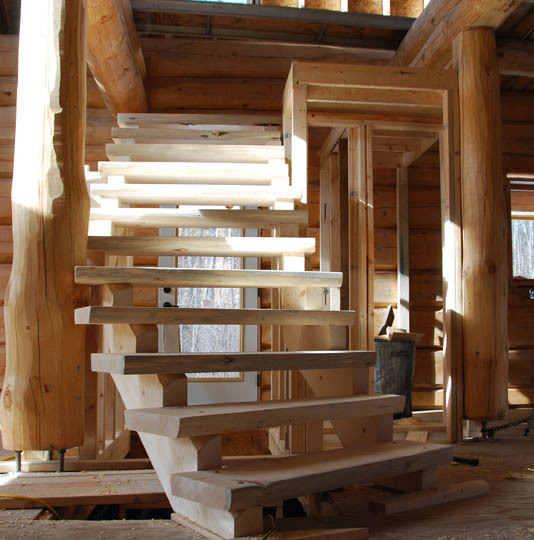 We also build winding stairs as well as stairs using half-log treads. 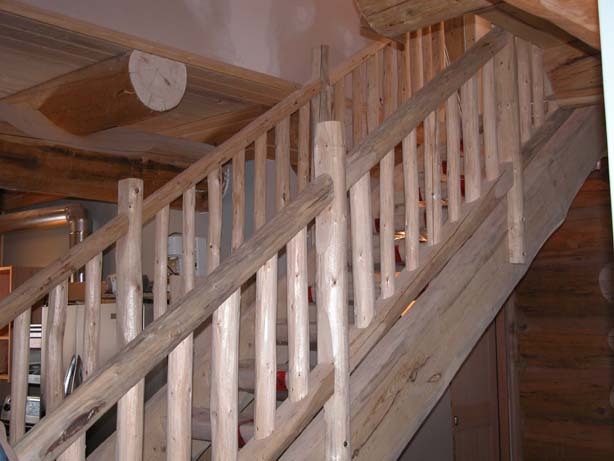 We build our railings using hand-peeled dry pine posts, rails and spindles. 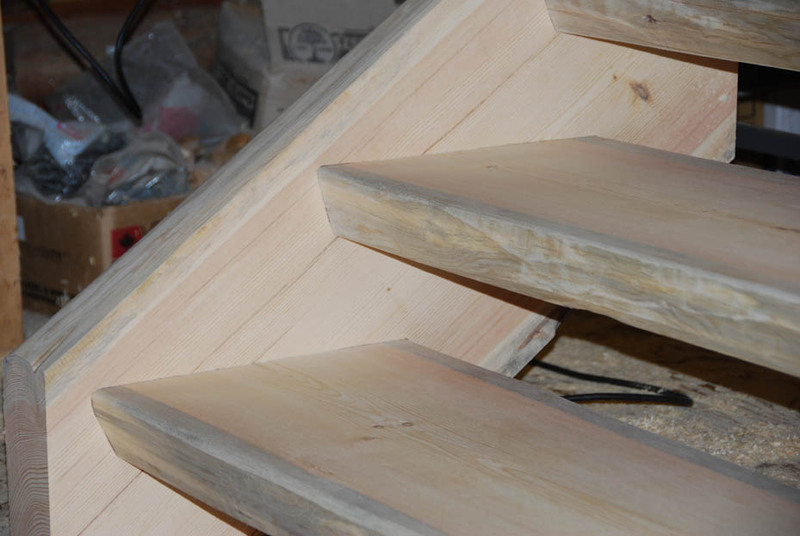 The underside of the top and the top of the bottom rail are flattened to accept the squared end of the spindle; the two are joined using glued wooden dowels. The final look is a traditional one as the accompanying photos show. 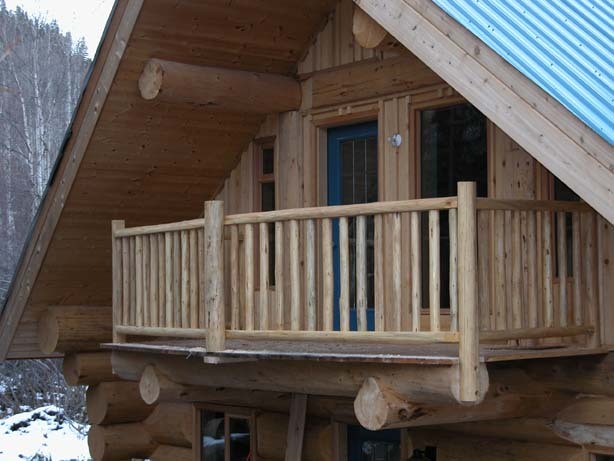 Exterior decks using log posts, stringers and joists complete the natural appearance of a log house. Joists are attached to the house using approved Simpson joist hangers.